Complete the given sentences and check your answers. Prepare for major tests such as GRE, SAT etc. 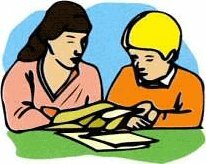 See the different types of reading exercises in order of increasing difficulty. Complete the sentences with the most appropriate options. 1. Even though the two parties appear united in negotiations, ----. 2. The moment I saw the sad face of my girl friend, ----. 3. You had better take your mobile phone with you ----. 4. ---- when they learned that the chairman would not be able to join the meeting. 5. ----, the Grammys are the highest rated.